Logo Design Horsham– looking for the best? Bingo – you found us! Logo design Horsham was used as the heading for this page because we wanted you to be able to find us online easily. When it comes to logo design we have over 20 years experience of delivering the very best results for our customers and it would be silly to keep that to ourselves wouldn’t it? With an obscure title that related purely to this project, you wouldn’t find us in the search engines which is why we used Logo Design Horsham. If you are wondering right now if we are also good at SEO the answer is yes – very. 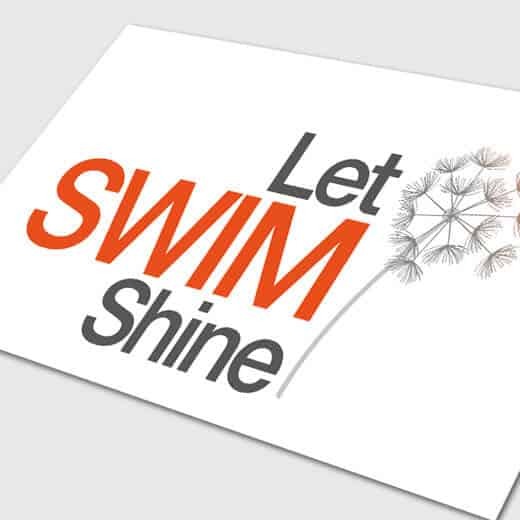 Logo design Horsham – Growth by Design created this logo for Let SWIM Shine. Let SWIM Shine are a new company specialising in helping single independent mothers who are going through or have recently been separated/divorced. Our client wanted a logo that represents moving on, growth and strength whilst still being delicate and engaging. We created this strong, bold yet sensitive design we simply just love and we’re glad that our client loves it just as much as we do! Logo design Horsham is very likely the search term you used when looking online for our services so we suspect that logo design is what you are interested in. With this in mind we decided to show you a broader selection of work and if you look below you will find more examples to browse through in the related projects section.